Also known as: Websta, Webster, Web-Star....Affordable Web Design Collaborating for your Success! 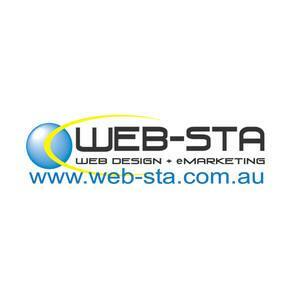 Web-Sta Web Design + eMarketing assist small and boutique businesses throughout Gold Coast, Brisbane, Caboolture and the Sunshine Coast through quality web design and eMarketing campaigns. We do this by establishing a high quality, results driven, scalable, websites that meet the needs of your ideal target audience. We then plug-in proven eMarketing Tools to really drive your web-presence. Check out some of our existing website designs. Our websites gain and hold attention, provide relevant information that is easy to read, and delivers an experience that is mobile friendly. We clearly communicate project inclusions, timelines, and even write ALL your website content that is SEO (Search Engine Optimisation) ready. Web-Sta also offers eMarketing packages to assist businesses get and stay front-of-mind with their clients and prospects. We do this through sound, leading edge practices and activities. The Web-Sta team are awesome to deal with and they offer a real extension to our business. Their knowledge of digital marketing is brilliant and they really know how to get our website ranking well with Google. Karen with her team are the real McCoy, they understand social media and digital content. Thanks Karen! We approached Karen to re vamp our web site and help us to understand how to make it work for our business. We have been very satisfied with her work and her "patience" in also teaching us how to drive it ourselves, once her design was complete. Karen is exceptional value for money and remains part of our business in an area that is very important to the marketing of any business today. Would recommend that you contact Karen and let her share with you her thoughts and how she can help in a very cost effective way. Thank you Karen. Karen has been my website designer since 2008. She is polite, helpful and affordable and does a good job. Both of my websites attract heaps of work, allowing me to travel between the Gold Coast and Rockhampton area. Highly recomended! Noel - Ace Mobile Plastics. I have been delighted with the service I have received from Karen at Web-Sta. I came to Web-Sta after finding several similar, male run companies, unprepared to accommodate my requirements. I run an online business but have limited skills in the wider aspects of internet usage, specifically in the area of marketing and making sure my web site is enabled to provide the widest search engine compatibility. Karen has taken the stress out of this for me and was happy to tailor a program which addresses my individual needs without costing me a fortune. Karen is also able to communicate in terms laypeople can understand. Great service and a website that attracts 80% of our customers. Our website has been designed and managed by Web-Sta since 2007 and it looks fantastic. Our website ranking is the most important thing to us. We enjoy a top 5 or better listing in Google for over 30 different search terms and phrases. Highly recommended.